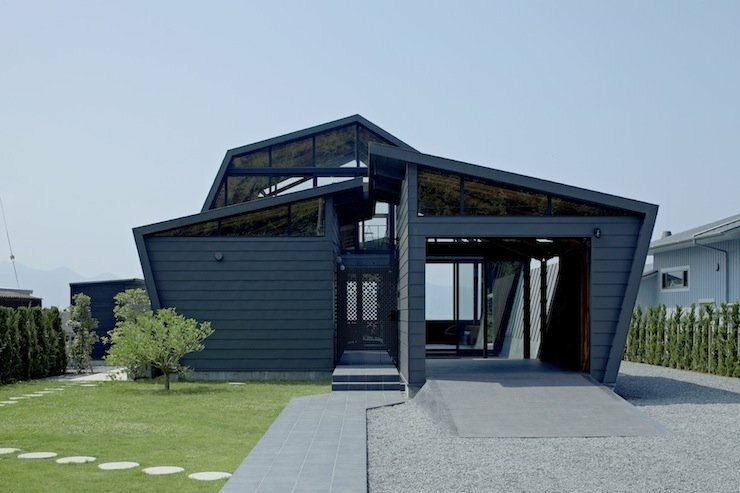 This odd-shaped villa SSK designed by Takeshi Hirobe Architects is truly eye-catching sitting among green hills and traditional houses. 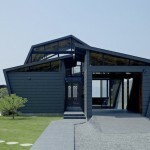 The villa features a living, dining and kitchen areas, a guest room, a bathroom with view of the ocean, and a spare room for displaying a car. 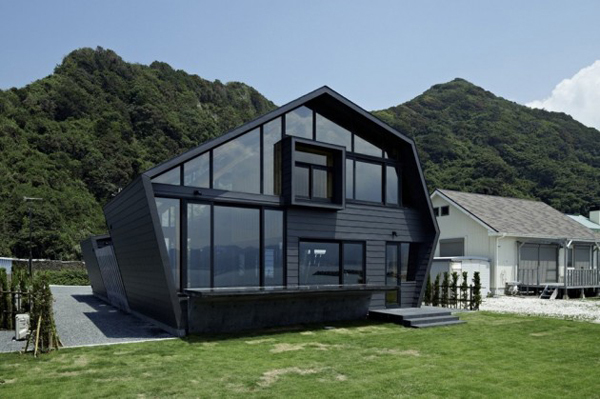 The house was designed to let the surrounding mountains and ocean to be seen. 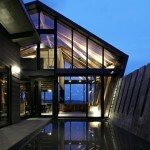 The house has two glass walls that overlook the mountains and the bathroom window opens a beautiful view of the ocean. 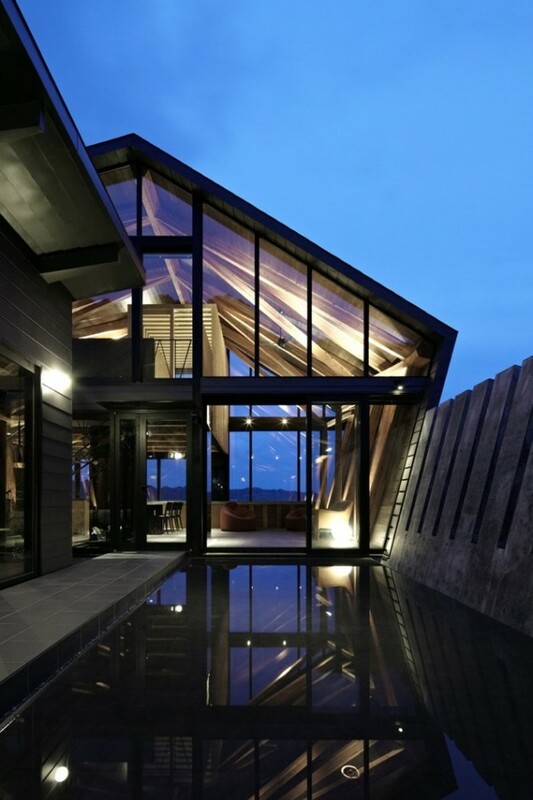 The shape of the house stands out from the location thanks to its unusual shape and dark materials it’s made of. 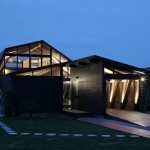 The house also features a tiled outdoor living space for recieving guests. 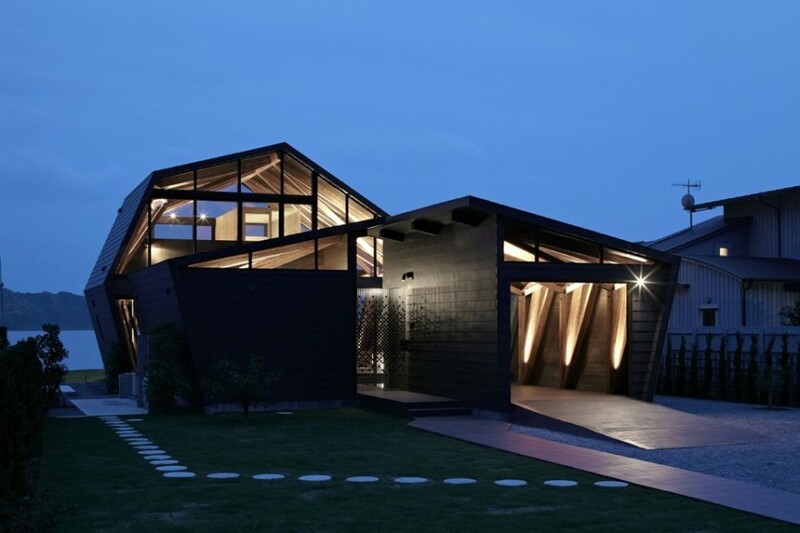 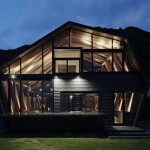 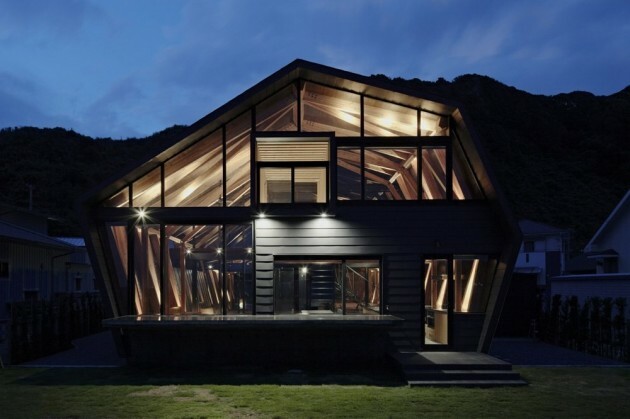 This amazing abode is both cozy and interesting in terms of architecture and shape. 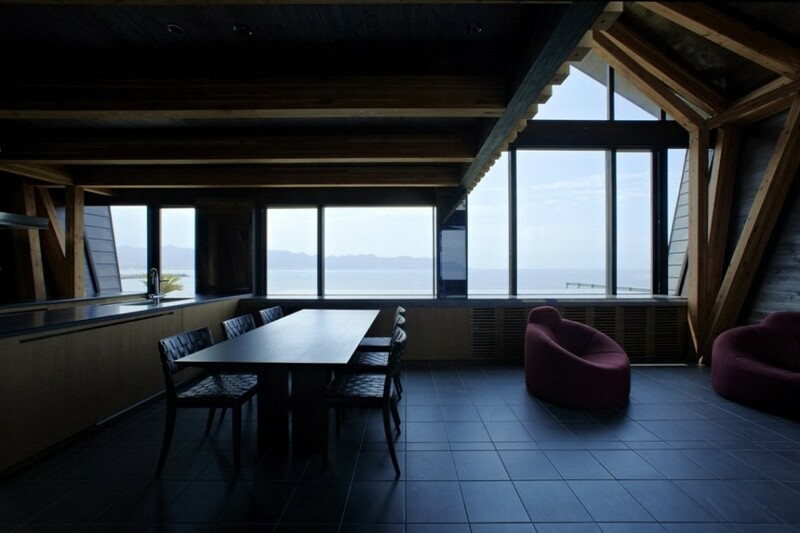 The views that surround it can be enjoyed from the inside the house and the house itself gives a peculiar touch to the location.